Andy Rubin, one of the guy who invented the Android mobile OS, today unveiled his first Android smartphone three years after leaving Google: the Essential PH-1. 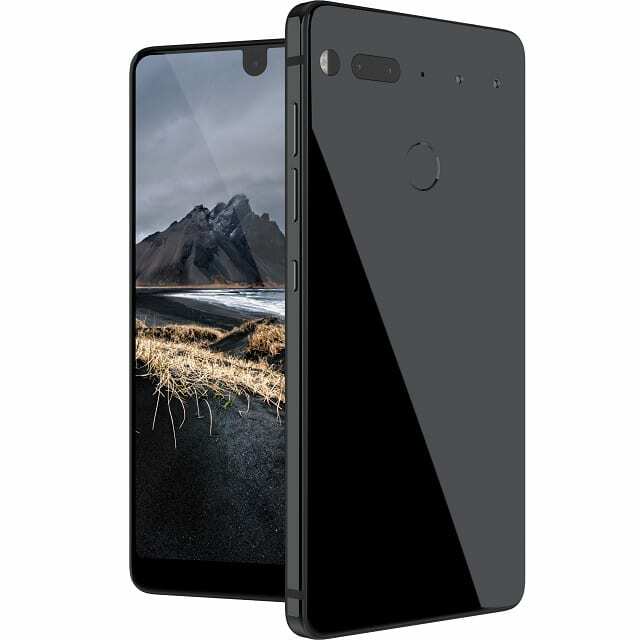 The Essential, although is was not created by a tech giant like Apple or Samsung, it has a stunning hardware design which can easily compete with the iPhone 7 or even the Galaxy S8. Unlike most flagship smartphone build by tech giants, the Essential is not built out of aluminum – instead, it’s made out of titanium, which the company claims it doesn’t scratch, dent, or bend. The phone packs an edge-to-edge 2560 x 1312 QHD display. At the front, it sports a an 8MP camera with the capability of shooting videos at 4K 30fps, 1080p 60fps or 720p 120fps. The rear camera is composed of a 13MP Dual RGB + Mono camera with image fusion technology. As for audio, Essential is built with 4x microphones with noise cancellation and beam forming, and does not have a 3.5mm headphone jack. The Essential is not behind is latest technology. Rubin says that the phone has fastest available technology in its fingerprint sensor. All of this technology is powered by Android and a Qualcomm Snapdragon 835 processor. The device features fast charging technology and a 3040mAh battery. As for memory, the phone sport a 4GB of RAM. Only 128GB UFS 2.1 of storage will be offered. You can order the Essential PH-1 right now for $700 in white or black and completely unlocked for any GSM carrier.